The paper was presented by the Indian Institute of Tropical Meteorology (IITM), Pune. Meteorologists from various institutions across the country have been asked to maintain ‘restrain’ while sharing their findings with the media after the ministry of environment, forests and climate change recently ‘rejected’ a research paper on mortality due to air pollution in India. The paper was presented by the Indian Institute of Tropical Meteorology (IITM), Pune. 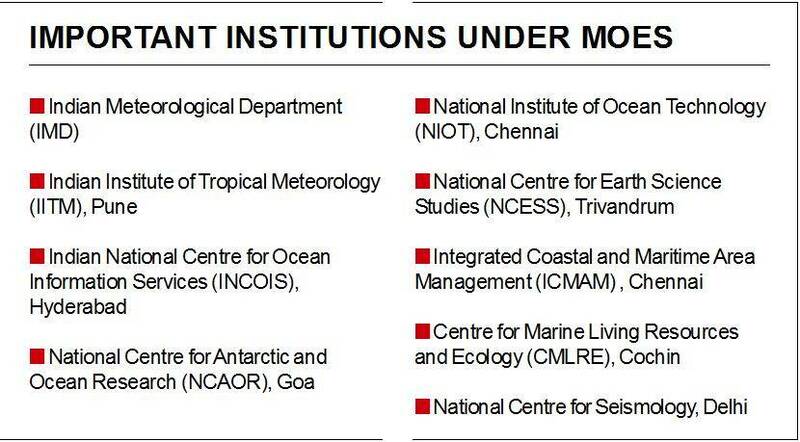 ‘ No more controversies please’ is the basic thrust of the mail which has been sent to all institutional heads under the Ministry of Earth Sciences (MoES). The heads, in turn, would send the mail to all the scientists involved in research work. The mail clearly states that the controversy originated as the scientists did not take formal approval from the director. It further says that “scientists should be discouraged to discuss and brief the media on any topic without being authorised to”. The recent controversy had newly anointed HRD minister and former Environment Minister Prakash Javadekar dismissing the research paper saying that it showed India in poor light. This not only had serious implications for IITM but for scientific research in the country as a whole. The research paper on estimated loss of life expectancy due to pollutants was published in a reputed journal, Geophysical Research Letters, after due process of peer review. The letter circulated to all the heads clearly states that scientists have a tendency of discussing with the press on their research results and highlights of their achievement, but they need to get an authorisation of the director/head of the institute. “Only IMD, being an operational agency, forecasting in-charges have to talk to the media as part of their duty. Therefore, they should be allowed with prior permission. However, if they want to brief the media for any other issues, they should again take consent from the authority concerned,” the mail from MoES secretary M Rajeevan states. Scientists across these institutions, who have several publications and have usually been sharing their findings with the media, find this ‘restrain’ order a little too strict as it has never been done before. “With research work being published in international journals, the order seems a little uptight,” said a senior scientist and meteorologist who has several publications to his credit. Another scientist said that the government, before rubbishing the study, should have checked with the scientist as it reflects badly on the scientists who have toiled hard on their work. Javadekar had not only called the research paper ‘unscientific’, but even went on to say that the paper smells of a conspiracy to defame India. Some institutes which do not have a full-time director under MoES feel that the gag order and such comments belittle their work. “Our work is good enough to be published in international journals, but not good enough to be shared directly. This is curbing our academic freedom,” said a scientist. Generally, the media selects scientific work published from various scientific journals and then gets back to the writer who shares his/her findings which is a normal procedure. “This is increasing red-tapism,” remarked a senior scientist working in Delhi. “While the environment minister rubbished the study, the MoES which comes under an independent ministry should have retaliated. Now with this mail, it shows that we are buckling under pressure and failing our own scientists,” said another senior scientist who has had several papers published in Indian and foreign journals. Another scientist said that this is more of a political interference and recounted an incident some years back of an article appearing in Lancet which was dismissed by the then Union Health minister Ghulam Nabi Azad fearing an impact on health tourism. Scientists who have been working on the same study still do not want to talk about their work due to the fear that it would raise a problem.